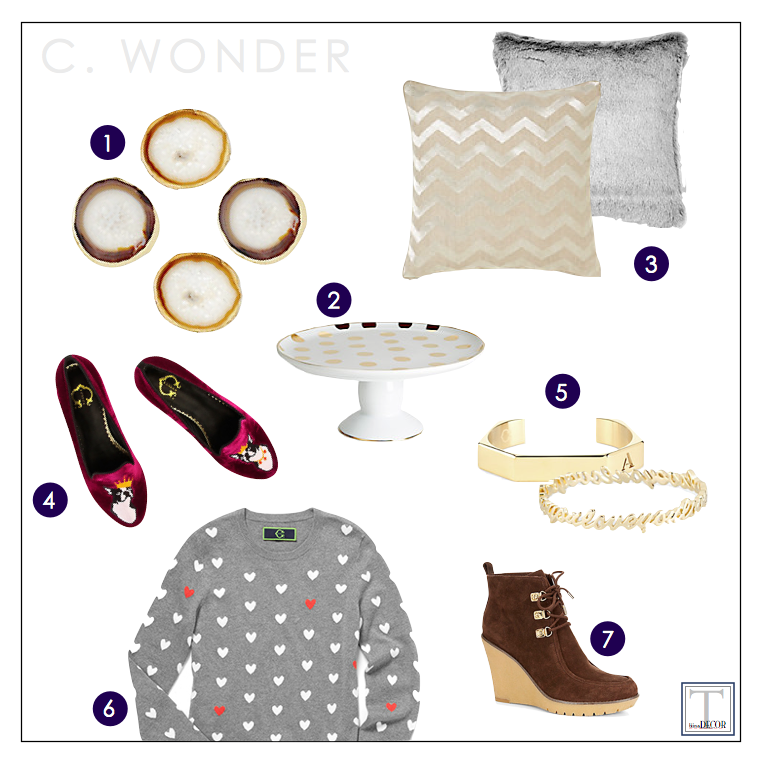 To take my mind off of things – and maybe distract you from some chaotic life happenings – here are some new goodies from one of my favorite stores – C. Wonder. I should just write SUCKER on my forehead when it comes to anything fur, agate, or gold. And of course I had to include some awesome shoes for fall. Plus, if you shop this weekend, you can save an extra 50% on sale items! It makes for a good start to the weekend. Don’t you think? Those terrier loafers need to be on my feet.